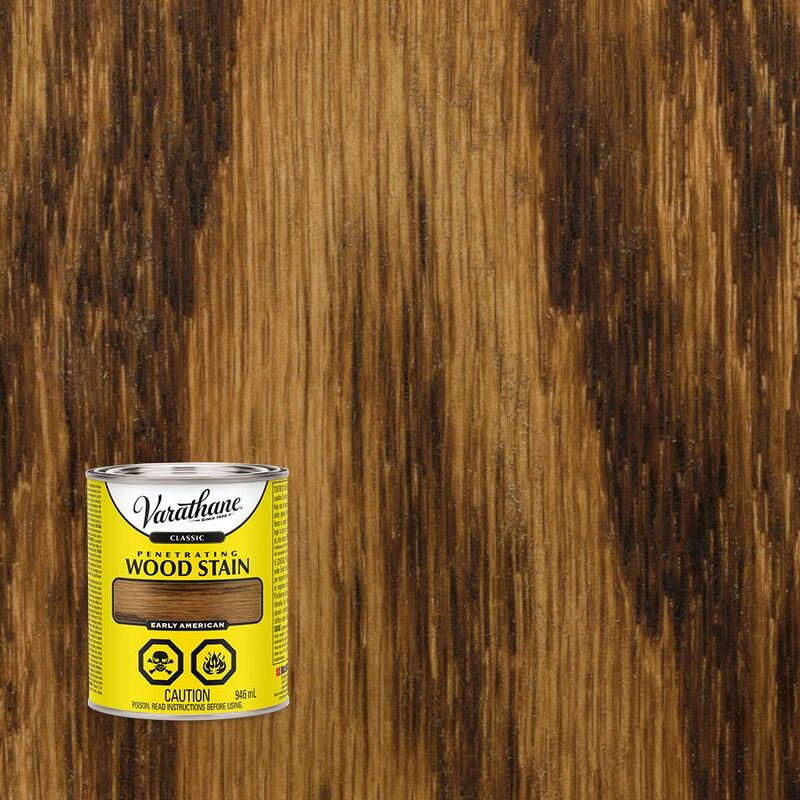 Varathane Wood Grain Enhancer accents the wood grain on bare or stained wood. Create a colour contrast on a variety of projects. This product works best on wood with a significant grain pattern such as red oak, white oak or ash. Varathane Ultimate Wood Stain is a premium, high performance stain system enhanced with Nano pigments and soy oil base for exceptional colour clarity. Combined, this innovative formula creates rich one coat coverage, which dries in one hour. Classic Penetrating Wood Stain Early American 946ml VARATHANE Classic Oil-Based Penetrating Wood Stains are formulated with a unique base for deep penetration and premium pigments for clear colour. This results in a deeper, richer and more natural colour for your wood projects.